The First Tomb Raider Trailer is Here! 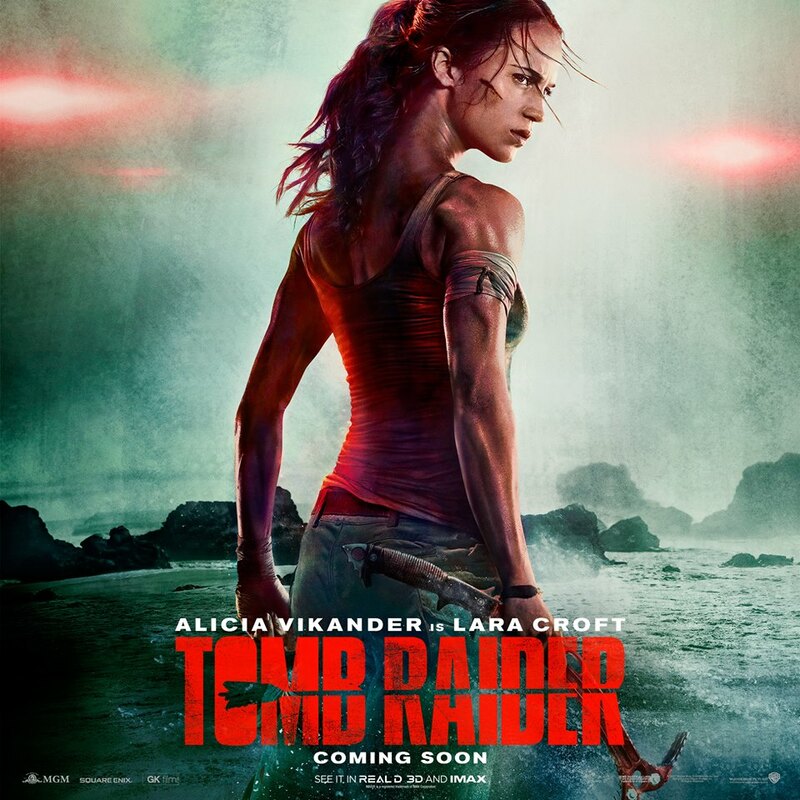 The first official poster for upcoming Tomb Raider film starring Alicia Vikander! And I have to say, that I am all for the tried and true look of the Lara which is based off the recent Tomb Raider games. With this movie coming out in six months, I had completely forgotten about it. There wasn’t a lot news or buzz going on about the reboot of the franchise with a new actor at the helm. A couple of weeks ago, Empire released exclusive photos from set which I had completely missed and didn’t talk about it. So I figured I would round up all the news I found thus far here for you guys. This is new take on Lara appears to heavily inspired by her recent rebooted video game counterpart; her weapon of choice is the bow which is a staple now. Her trusty climbing pickaxe is at her hip, which has saved Lara’s life several times over in game. Like I said earlier, I welcome the familiarity. This Lara will be a twenty-one year old London courier according to reports and the focus point won’t be an artifact this time but rather an origin story which has her searching for her father. To my knowledge, this will be the first time we take a journey from this perspective. Lara’s parents are usually dead by the time we pick up with her and we learned about her father through narrative so this idea would be rather fresh if he is still alive. Directing the movie will be Norwegian filmmaker Roar Uthaug, a director I hadn’t heard of until today. As of the moment, he has five films under his belt with the most notable being the The Wave which came out in 2016 and currently holds a 83% on rotten tomatoes. I may not know much about him but I am excited to see new directors given a chance to showcase their skills. Video game movies has had a bad reputation of bombing in theaters (at least critically). Though not well received by most, I thought Warcraft was a pretty decent film despite the box office reports. Assassin’s Creed though that a bad movie on its own was bad in comparison to the game and thus continued the downward spiral. The only exception to the rule would be Resident Evil. While not critically praised which is the norm when it comes to these adaptions, the series has still has been the most popular among the general audience. With Tomb Raider and the still in development Uncharted movie, I think they stand a chance to breakout and prove that video game adaptions can be good. I can’t wait to see the trailer tomorrow. I should be able to do a reaction to it so stay posted! Previous Post Eureka Seven Hi-Evolution Trailer! ooh, I am looking forward to this! You aren’t the only one. I have a habit of getting excited for video game adaptions. I want to see them succeed because of all the great stories that people miss out on because of gaming as a platform. Looks like they’ve really captured the feel of the rebooted game series.